Electric and Diesel Compressors and accessories for sale. Built to the highest standards; Australian design registered, workplace compliant. 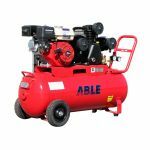 Able Sales diesel air compressors are made from highly durable materials. 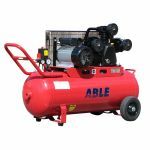 Choices of electric, and petrol powered air compressors are also available. Buy online or pickup at warehouses near you. With branches in Perth, Brisbane and Melbourne, we offer fast delivery Australia wide! For a 10 cfm load, a 100 cfm 25 hp (21.3 kW at full load) screw compressor consumes 21.3 kW for 10% of the time (2.1 kW) and 7.4 kW for 90% of the time (6.7 kW). This means the total average power consumption is 8.8 kW to produce 10 cfm, a specific power of 88 kW per 100 cfm. A similar sized 25 hp reciprocating compressor that, say, can produce only 90 cfm at 21 kW, runs 11% of the time to feed the same load (2.3 kW) but consumes no power when it is not producing air. This works to a total average power of 2.3 kW or a specific power of 23 kW per 100 cfm—almost 4 times more energy efficient! Most air compressors either are reciprocating piston type, rotary screw. Centrifugal compressors are common in very large applications. There are two main types of air-compressor pumps either oil or oil-less. The main difference between rotary and reciprocating compressors are the rotary compressor use an impeller which is in a rotary motion to compress the air while a reciprocating compressor involves a piston-cylinder device in which air is filled and compressed due to upward movement of the piston. However reciprocating compressors are marginally more efficient because they compress the same amount of gas with 5 to 10 percent less energy input. However, since this difference is so marginal, most small-to-medium level users are best off using rotary air compressors. 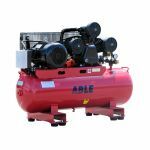 New air compressors available like diesel air compressor portable or industrial types for farms can be of benefit for. If you like to take care of most things yourself, Meaning if you're eager to find a solution. Building structures like chicken coops and outbuildings are much easier with a pneumatic nail gun. These use pressurized air to push nails into wood or other materials. Many types of pneumatic nail guns can be used with an average air compressor. When shopping for a compressor, do your research. Companies like Able Sales provide quality products that will last. There are trucks, cars, and stock trailers typically on a farm. While most farm vehicles will be rugged, the wheels will need air every once in a while. This is especially true if you live in an area with changing seasons. You will want to make it part of your regular routine to check all tire PSI. You don’t want to be in an emergency situation and lose time due to a flat tire. Painting in the traditional fashion can be relaxing for some, but there is no denying that it takes a long time. Want to cut the time at least in half and get a perfect finish? Hook up a spray painting gun to your air compressor. This will let you spray an even coat over surfaces without drips. Helping your farmhands work better is just one way to show that you appreciate them. Keep it away from your skin, but compressed air is an amazing aid in cleaning farm equipment. Clean items with brushes first, and then use air as a final step. Always clean in this manner in a well-ventilated area. Be sure to wear eye protection and appropriate clothing. Secure the hose to avoid in whipping around and causing damage or harm. Use the lowest setting possible. Farmers are gritty and use every resource available. Stories have popped up about farmers using ground up apricot pits or walnut shells as a natural weed killer. Placed under high air pressure, the ground up pits/shells can sheer off troublesome weeds. Corn gluten meal and other organic materials are being tested. 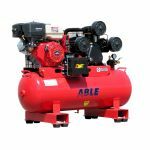 It’s clear that there are many air compressor uses that can help you and your farmhands keep your farm prosperous. 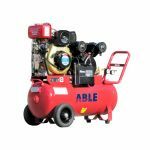 Thousands of companies Australia wide have looked to Able Sales in Perth, Melbourne, and Brisbane for their portable and diesel air compressor needs and spare parts with super fast delivery to Adelaide and South Australia. It stands for Cubic Feet Per Minute, the amount of air an air compressor delivers, measured in cubic feet in a minute. Just be aware that CFM a compressor delivers changes, depending upon the psi (pounds per square inch). Most air tools have a CFM requirement for volume and air pressure. 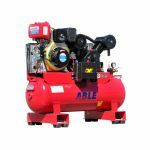 When choosing an air compressor, think of the air tool you are planning to use that requires the highest CFM, and add a small amount to that number for a margin of safety. For example, if an air tool requires 3 CFM at 90 psi, select an air compressor that delivers at least 4.5 CFM at 90 psi. All you need to know about AC Others try to copy Abel Sales pricing and service but fail. 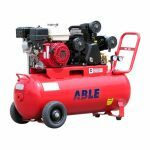 For your next air compressor, industrial or not Able Sales has them at factory direct prices, buy air compressor.